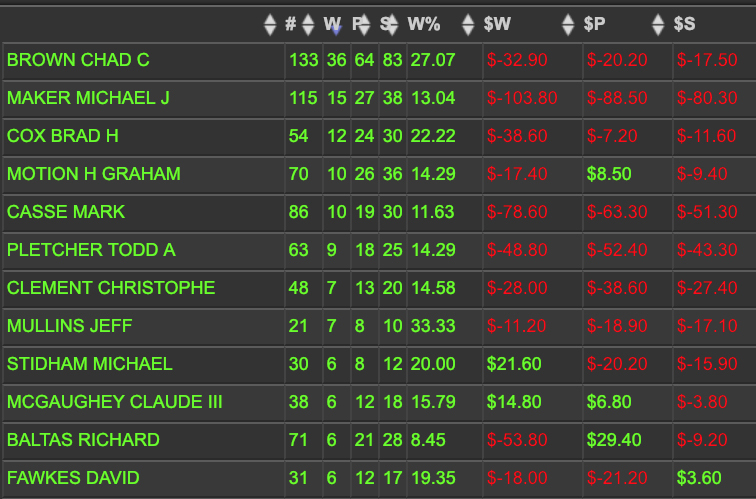 Last week, we used the Betmix Angler online handicapping software to see which jockeys performed best in six 2018 stakes race categories. This week we take a look at the trainers. There were few surprises with Bob Baffert showing the most wins in Dirt Middle Distance and Distances stakes and ranking second only to Steve Asmussen in Dirt Sprint stakes. On the grass it really was Chad Brown (almost) all the time with a combined 49 stakes victories in Turf Middle Distance and Distances races. 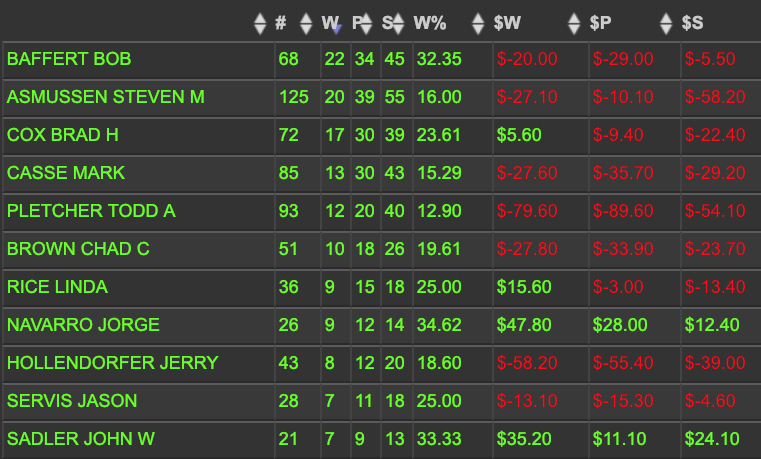 Perhaps the one surprise is that a flat bet win bet on all of Browns' Turf Distance starters yielded a $46.30 profit. The six visuals below show stats for all the top stakes race trainers in 2018. For more information on how to use Betmix Angler, click here.